Before investigators were even cleared to enter Notre Dame’s smoldering ruins the French Government had already ruled out arson? This is written from a Christian perspective. If you don’t agree with the view point & want to discuss that please go to the source at the link. Without an honest and transparent investigation, people will always look at the burning of Notre Dame as a monumental conspiracy. Fill in the blank as to who you want to make responsible for the devastation because the French wimped out and declared it an accident before any investigative techniques could have realistically been employed. Seasoned fire fighters describe the heat in fires as like nothing they’ve ever seen before – is Aluminum Oxide from geoengineering the accelerant? “Fire, Fire and more bloody fires. Yes fires can be a natural occurrence but when there is an ingredient or an accelerant delivered from above, I think that’s when the “natural”occurrences end and it kind of becomes deliberate. Funny thing, when I was watching videos via You Tube, watching what was going on in Australia, with the fires, I saw a video that had a interesting title.. it was something along the lines of a “deliberate” act but strangely this morning went back to find that video… it has now been REMOVED, I find that quite odd. 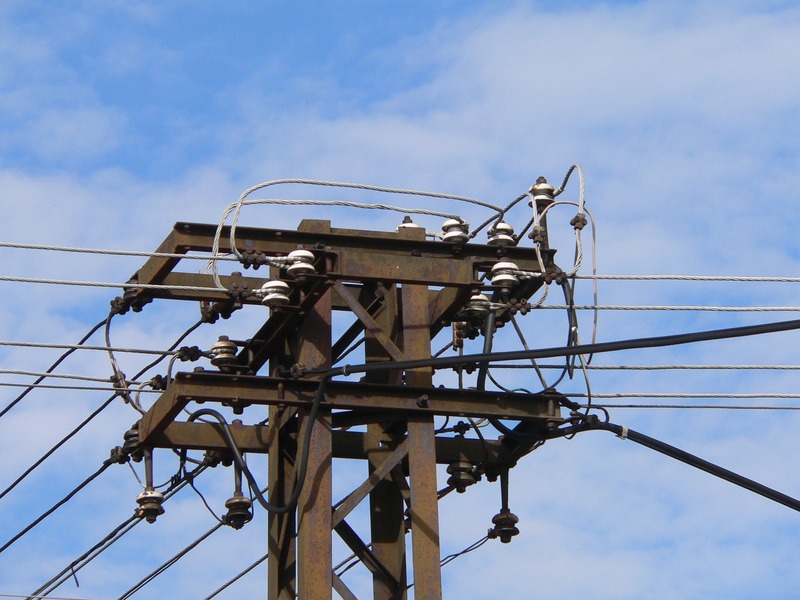 Here is a smart (aka advanced) meter story that will shock you! Learn of the hell this woman has been through since a smart meter was installed on her home … with neither her knowledge nor her consent! A long tale of basically passing the buck by all concerned. (Names are changed for privacy reasons outlined in the article). By Catherine J. Frompovich, from Activist Post: January 4th started off as a typical day for me. I woke up, made some coffee, filed some applications for jobs, started laundry, cleaned the kitchen and began preparing for an interview I had later in the day. I had gone upstairs to move laundry from the washer to the dryer and fold the clothes from the dryer when all the sudden the power went out. I figured no big deal, we have this happen all the time, and it will come back on. Sure enough, it came back on and then immediately went back off. I waited. It didn’t come back on. So, I decided to go downstairs….As I got to the bottom of the stairs, I could hear this noise. It sounded like feedback in stereo speakers that had a pulse to it. I stood there at the bottom of the steps trying to determine where the noise was coming from, but it sounded like it was all around me. What happened next – it happened so fast – was a flash, like lightning inside my house. I literally cradled my head and dropped to the floor, while my dogs started going crazy. I waited for the popping to stop and I opened my eyes…. “It’s official. The bits of data that could reveal virtually everything we do offline — in our own homes — are worth TRILLIONS to a wayward global corporate cabal. Dr. Erica Mallery-Blythe presents on risks to children at a program organized by ElectromagneticHealth.org and Environmental Health Trust held at the Commonwealth Club on June 22, 2015. She is Founder of Physicians’ Health Initiative for Radiation and Environment (PHIRE) in the U.K. where she is also Trustee of the Radiation Research Trust, Medical Advisor to Electrosensitivity UK and Member of the British Society of Ecological Medicine. These meters are rolling out in NZ currently. Last weekend FB was alive with reports of heavily inflated bills some as high as $2k I noted. A post to follow on that topic this weekend. 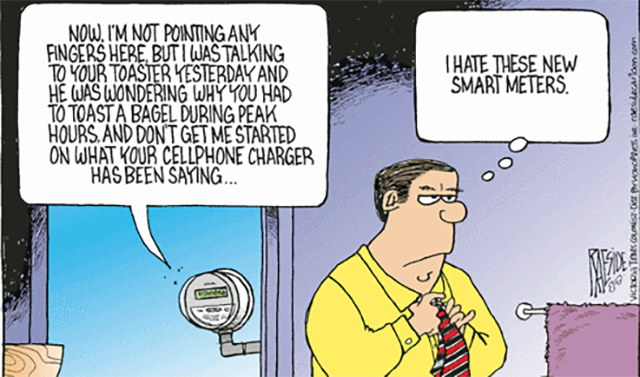 Remember Smart Meters (commonly known here in NZ as Advanced Meters, and labeled such) are NOT compulsory. It is generally implied that they are and companies do just turn up and install them if you’re not home. You need to be very proactive and post a notice of non-consent on the meter itself if it’s outside and accessible, in addition to notifying your powerco in writing you do not consent to one being installed. Be aware, once installed it is far more difficult to negotiate removal. You will also be told they are no more dangerous than a mobile phone … this is not true. Watch Josh del Sol’s ‘Take Back Your Power’ documentary to educate yourself on the facts. I have a copy you can borrow if you are in the Rangitikei district. Be forearmed and protect yourself and your loved ones from the known health risks. For more info go here.